Online sermons have become ubiquitous with churches. What used to be an added bonus for members of large churches has now become standard in churches of any size. Thanks to technology improvements and the rise of the iPod and smartphones, sermon podcasts are now a commonplace. However, there is one small issue with online sermons—there is typically nothing to accompany them online. Most churches simply upload sermon audio to their site, feed it to iTunes, and move on. 1. 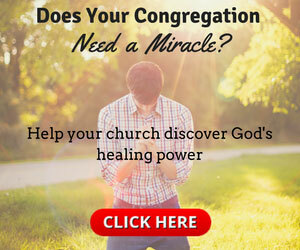 Create a new post on your site for each sermon post. With WordPress and other blog-based sites, you can easily create a new post for each sermon. You can then organize sermon series into categories to help group them together. Creating a new post for each sermon instead of listing them all on one page helps for a variety of reasons. First, you can share the sermon individually on social media sites. Second, you can attach a featured image of your sermon artwork to help it get noticed when shared on Facebook or Twitter. Finally, you have room for sermon notes to go with each sermon, which brings us to the next point. 2. Upload sermon notes for each sermon. Almost every pastor has some kind of notes for each sermon. Maybe it's a manuscript; maybe it's just a bare-bones outline. Either way, consider posting the pastor's notes with each sermon. Simply upload a PDF of the notes and provide a link to download them. This allows listeners the opportunity to have something to reference if a sermon is particularly meaningful or insightful to them. 3. Include the text reference in the title. For example, a Christmas sermon title might look like "The Birth of a King—Luke 2:1-20." This is important not only because it provides a reference for listeners in their podcast app or online, but it also helps with search engine optimization. Now, SEO (Search Engine Optimization) might not be a major concern for you, but every little bit helps. Having a high SEO score could make the difference to someone choosing your church in a list of search results. Higher scores are listed closer to the top of the page. So a high SEO score means people could potentially see your church before others. 4. Identify the speaker in the post. Churches who have multiple teaching pastors or campuses should clearly identify whose sermon audio is online. Even churches with one pastor should list this information. There might be a guest preacher instead of the pastor. Providing the speaker's name just helps clear up any confusion that may arise because preachers rarely introduce themselves at the beginning of a sermon. The average listener may not know who's speaking if they aren't identified in the post. These may seem like simple points for online sermon audio, but check your church's online sermon feed. Does it have all four of these? Would you add anything to this list?